With all MWI partnerships, the goal is the create growth and increased revenue for our clients. 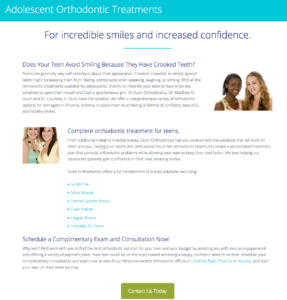 As our partnership has continued with Dunn Orthodontics, we have enjoyed the opportunity to deploy new tools and strategies to achieve results. We never approach marketing with a one size fits all mentality; strategies must be determined in real time as data is analyzed. 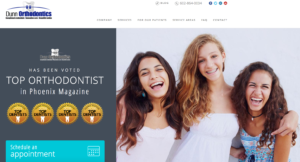 Together, Dunn Orthodontics and MWI have seen organic website traffic, and online appointments grow exponentially. Check out the rest of the article to see how we got these results. One of our core values is getting Real Results – Rankings, likes and traffic are important, but they’re secondary metrics that are often used to hide a lack of real results. At MWI, we focus on leads, sales, and growth. 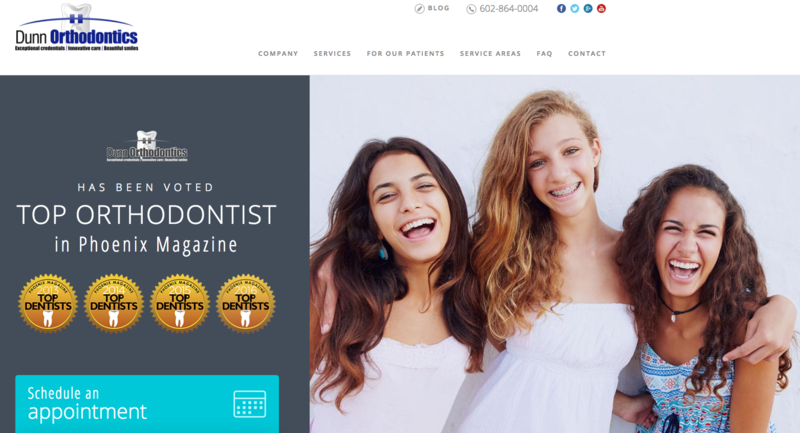 Dunn Orthodontics has multiple locations in the Phoenix area, with plans of expanding. Their overarching goal is the same as many in the industry… more butts in seats. To understand how we achieved that goal, we suggest looking at it as a 3-stage funnel. Our director of strategy is constantly (I literally hear it at least 3 times a day) saying “you can take a horse to water, but you can’t make it drink.” We all laugh because we’ve heard it so much, but he’s right. 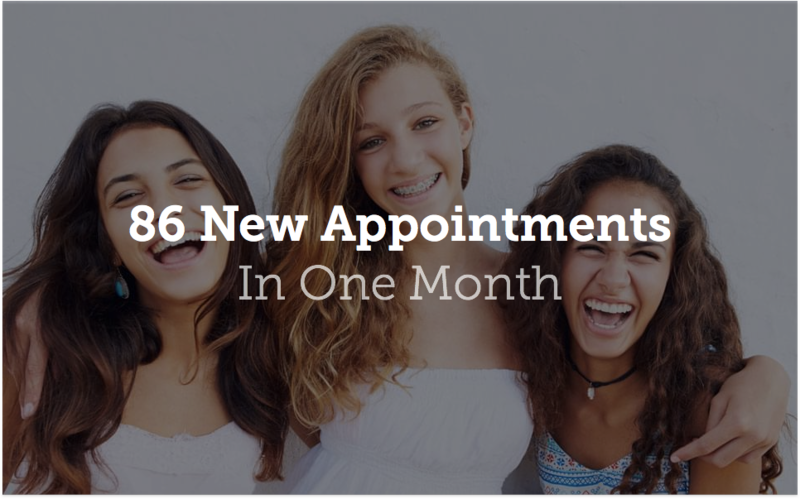 It doesn’t matter if you have hundreds or thousands of visitors to your website each month; if they aren’t interested in getting a better looking smile, then they aren’t going to book an appointment. 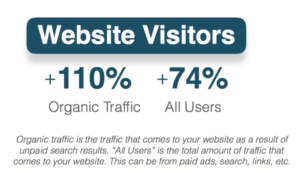 If you want quality leads, you need quality traffic. Search Engine Optimization (SEO) Audit: We did an in depth audit allowing us to identify areas with most potential for organic growth. 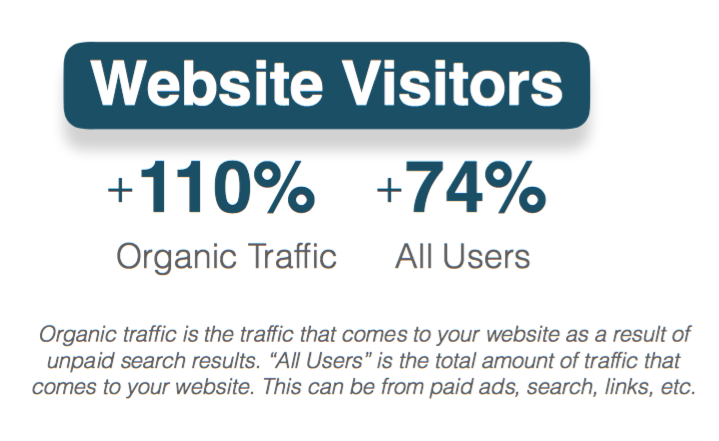 It’s much more than just running and SEO tool and calling it good. We leverage all of our resources in order to ensure that our audits are 100% complete and accurate. Prioritizing What’s Most Important: We then took our in depth audit results and determined where to focus our work. Specifically, we decided to focus on the existing bad backlinks and setting up local SEO (making sure google my business and local reviews were set up properly). Hustle, Re-evaluate, Hustle: Then we hustled to get the work done. We completed the local SEO steps, and began implementing the backlink strategy. Then we re-evaluated our strategy. This led us to shift our focus to content creation and optimization. We found some information on the “services offered” page was thin, and they needed more blog content around questions potential customers have. So… we added content to the website and began creating blogs. Hustle, re-evaluate, hustle is the process that leads to success. We were constantly finding new things to work on and allowed ourselves the flexibility to shift priorities to do what was best for Dunn Orthodontics. Congratulations, you are now taking a thirsty horse to the water, but what if the horse can’t quite get close enough to drink because the bank is too steep? In real life, this is when quality traffic comes to your website, but the site doesn’t lead them or make it easy enough for them to book an appointment, call, fill out a form, buy a product or do whatever it is you want them to do. Website redesign: A custom WordPress site was designed and allowed for ultimate conversion rate optimization. When we design a website, we do NOT use templates because they can be limiting when trying to make changes that will help convert. Conversion and UX Audit: We did user testing (ask users to perform certain tasks on the website and record the feedback). Overall, users loved the website! They found it very professional and clean. However, we did specifically find through our testing and audit that we needed more call to actions on the services page, and the internal linking strategy (links within the website that guide a user to convert) needed to be adjusted. A/B testing: We implemented the changes and tested it with the users. A/B testing allowed us to compare the new changes with the original site. We use data for everything we do, which is one reason why we are confident that we can be successful in helping our clients. The results of the A/B testing proved to us which changes needed to be permanently implemented. At this point the potential patient is in the office, and because it is a solid lead, Dunn Orthodontics can now acquire a new client. Today Dunn Orthodontics continues to thrive as an MWI partner. We are an advocate of their brand and are proud to be a part of their team. Need Help Building Your Sales Funnel? Need Help Getting Quality Traffic and Leads? Need Help Achieving Your Digital Marketing ROI? Email me at adam@mwi.com or fill out the form HERE, for free marketing advice!